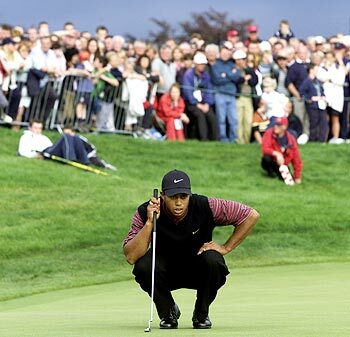 Four-times winner Tiger Woods will command the spotlight when he tees off in Thursday's opening round of the US PGA Championship in pursuit of his 15th major victory and first this year. The American world number one, comfortably the best player of his generation, has not triumphed in a Grand Slam event since his remarkable playoff win at the 2008 US Open. He was then sidelined for eight months while recovering from reconstructive knee surgery before returning to the PGA Tour in late February. 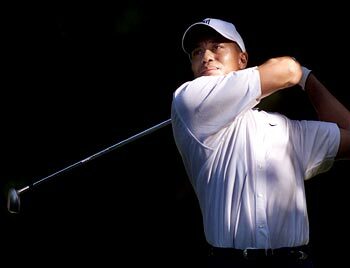 Although Woods defines his career by the number of majors he accumulates in his trophy cabinet, he is prepared to relax his goal for this year because of the circumstances surrounding his left knee. "I don't think any of us would have thought I could have won this many events this year," said Woods, who has clinched five PGA Tour titles this season, including two in the last two weeks. "To win, and not only win but be as consistent as I've been the entire year coming back, that's one of the things I'm probably the most proud of. "If you had asked me at the beginning of the year before I even played whether I'd have five wins by now, I couldn't see it, because walking 18 holes was going to be a task." Fellow American Stewart Cink, who won his first major title at last month's British Open, echoed the thoughts of many when assessing Woods's prospects at Hazeltine National this week. "I'd say he's got a pretty good chance, probably better than anybody else in the field," said Cink, a six-times champion on the PGA Tour. "He's driving it pretty well. He's got a short game that history has never known, he's got the clutch putting that history has never known and he's got the ultimate tank of confidence to draw from. So case closed." 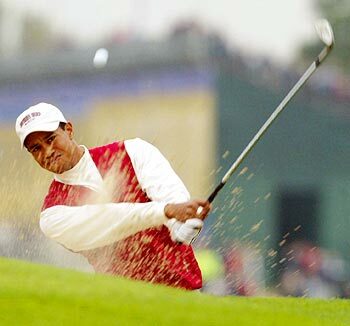 Hazeltine last staged the PGA Championship in 2002 when American Rich Beem held off a charging Woods by one shot to win his only major title. The par-72 course has since been stretched to 7,674 yards, making it the longest layout to stage a major championship. Defending champion Padraig Harrington, who duelled with Woods for last week's WGC-Bridgestone Invitational before slipping back into a tie for second, expects a tough but straightforward challenge this week. "I don't think the length is such a big deal from what it's been made out to be," said the Irishman, who clinched last year's title by two shots at Oakland Hills. "I think the golf course will play quite well, as regards its length. And it's a good, strong course. It's going to be a big hitter's course." American world number two Phil Mickelson, the 2005 winner at Baltusrol, agreed. "The rough has grown up since I was here a week-and-a-half ago and the greens have picked up some pace," the three-times major champion said. "I think it's going to be a challenging but fair test." Of all the majors in recent times, the PGA attracts the strongest field and this week's edition has attracted 98 of the world's top 100 players. 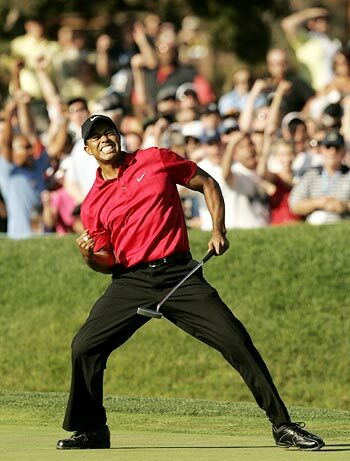 Often, though, it has been the most likely major to throw up a surprise winner. The championship was won in consecutive years by unheralded Americans Beem and Shaun Micheel, underlining that any player is capable of victory if his game is on song. Whoever ends up lifting the prized Wanamaker Trophy on Sunday will have coped best with one of golf's toughest challenges.